Right up until 2013, guitarist Franz Bargmann and keyboardist Timm Brockmann were two-thirds of Berlin based Camera, who were by then, one of the leading lights of the Neo Krautrock scene. They had already released two albums in 2012, Live At HBC and their criticality acclaimed studio album Radiate. Critics were forecasting a great future for Camera, who were clearly band that were going places. That was until Franz Bargmann was asked to work with one of the true legends of German music…Michael Rother. The former Kraftwerk, Neu! and Harmonia guitarist was looking for a guitarist to join his touring band. Michael Rother had identified Franz Bargmann as the guitarist he wanted to add to his touring band. He knew Franz Bargmann and watched him play many times when Camera they opened for him. Franz Bargmann had made an impression on Michael Rother. For Franz Bargmann this was the opportunity of a lifetime, as Michael Rother’s music was more popular and he was constantly touring and playing sellout shows across the globe. However, Franz Bargmann was a member of a successful band who had a bright future ahead of him. It was a difficult decision, and one he would take with a heavy heart. Eventually, and after much thought, Franz Bargmann made the decision to join Michael Rother’s band where he would play alongside La Düsseldorf drummer Hans Lampe. For Franz Bargmann this was the start of a new and exciting chapter in his career. Losing Franz Bargmann was a huge setback for the two remaining members of Camera. Still Camera continued to play live and recorded their second studio album Remember I Was Carbon Dioxide in 2014. It was released to critical acclaim in September 2014, with Remember I Was Carbon Dioxide being hailed as Camera’s finest hour. Camera was by then, one of the top bands in the Neo Krautrock scene. They were also a band that stood out from the crowd. This was partly down to Camera’s ability to improvise around a Motorik beat. The result was innovative, inventive and imaginative music that was starting to find a wider audience. Despite that keyboardist Timm Brockmann decided to leave Camera. Having left Camera, Timm Brockmann decided that have wanted to concentrate on studio work. That was how Timm Brockmann came across Boris Wilsdorf, who has been Einstürzenden Neubauten’s engineer and in-house producer ever since. Soon, Timm Brockmann would be following in Boris Wilsdorf’s footsteps. An opportunity arose for Timm Brockmann to become the personal engineer for cult British musical trio and underground icons Tiger Lillies. They had previously toured with Einstürzenden Neubauten in 2007 and had honed a unique sound that combined pre-war music Berlin with the ferocity of British punk. Timm Brockmann embraced this new role, but in 2015, rejoined the group he left a year earlier, Camera. During sessions recorded during 2015 and early 2016, Camera’s third studio album Phantom Of Liberty started to take shape. It was released to widespread plaudits and praise in August 2016. Camera was back and back with what many critics regarded as their best album. By then, Franz Bargmann and Timm Brockmann were already working on their first album together at Boris Wilsdorf’s studio. The first session took place in January 2016, with Franz Bargmann arriving with s guitars, e-bows and the magic ingredients to what the atmosphere he adds to Licht. Meanwhile, Timm Brockmann’s brought along synths, keyboards and machines. This included a drum computer. However, when it came to record Schatten, a decision was made to dispense with the drum computer and bring onboard Achim Färber of Automat and Project Pitchfork. He added imposing, soaring, tribal drum patters which combined with the sub bass and washes of guitar. This was a potent combination and added a degree of drama and tension to this cinematic soundscape. Achim Färber’s addition was a masterstroke and transformed the track. As the recording sessions continued in Boris Wilsdorf’s studio, some of the time was spent experimenting. Franz Bargmann and Timm Brockmann pushed musical limits to their limit, and sometimes way beyond. Other times, songs were recorded then rearranged. Sometimes they were layered vertically, other times they were sat side by side. This almost random approach to recording and arranging sometimes worked, and tracks were transformed. These transformations were embraced, especially on one track that found its way onto Licht, Prisma. It features different mixes of the track which essentially, comprised different layers of music. They were structured as overlays, on Prisma which is one of twelve inventive instrumental soundscapes on Licht which was completed in April 2017. Six months after the recording of Licht was completed, Hamburg based Bureau B will release the first album from the Brockmann//Bargmann on ‘20th’ October 2017. Licht is another ambitious album from the two musical pioneers Brockmann//Bargmann. 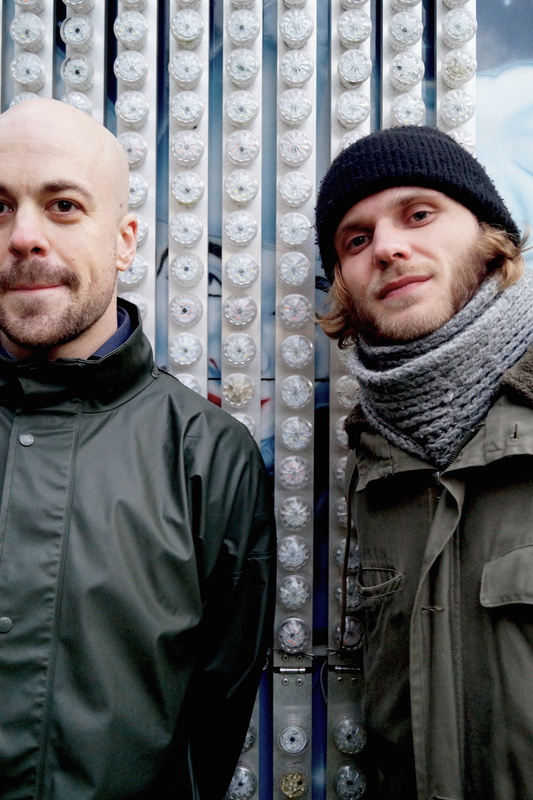 They follow in the footsteps of another pioneering German duo,…Cluster. Kluster, Cluster and Qluster have obviously influenced Brockmann//Bargmann. That can be heard on Licht. So can the influence of So Harmonia, Neu! and Kraftwerk. Other influences include Brockmann//Bargmann’s contemporaries Ulrich Schnauss and Rival Consoles. However, on other tracks, Camera’s influence shines through. That is no surprise. Nor is the fact that Licht is an album innovative, inventive and imaginative music. That becomes apparent from the opening track, Aura. It’s slow, spacious and understated. A keyboard wheezes before crystalline, guitars chirp, cheep and sometimes, shimmer. They take centre-stage and create a beautiful, dreamy and captivating soundscape. Although it only lasts 1.26, it;s more than enough to whet the listener’s appetite for the rest of this musical feast. From the opening bars of Deepmind effects laden keyboards add a degree of urgency. Meanwhile, drums pound and mesmeric synths sweep and swirl. Soon, a dance-floor friendly sound has emerged. This is partly due to the swathes of synths that dance above the pounding beat, They play their part in an anthemic sounding dance-floor filler. Softarps marks a return to a much more understated sound. Again, it’s slow and spacious with instruments flitting in and out of this minimalist ambient soundscape. This includes a bursts of piano, a droning organ and chirping cheeping guitar. Later, washes of guitar shimmer and glisten, and are joined by strings. They add a melancholy and ruminative sound to this beautiful, emotive, ambient soundscape. The tempo rises on Horizont as a Motorik beat powers the soundscape along. Meanwhile, washes of guitar and soon, synths are added to this carefully crafted soundscape. This includes a bass synth, while a searing guitar join washes of synths and swathes of strings as the genre-melting soundscape reveals its secrets. As it does, the music veers between ethereal, elegiac and rocky, to melodic and memorable. It’s a track the listener won’t forget in a hurry. Prisma shimmers and shivers as it meanders along, before taking twists and turns over nearly six minutes. For part of that time, it shimmers and glistens and takes on an ethereal sound. Later, the soundscape swells and then drones before becoming dramatic, moody and broody. However, the best way to describe Prisma is cinematic, and guaranteed to paint pictures in the mind’s eye. Keyboards wheeze as a piano in pounded on Sylvester. Meanwhile, drums gallop along, as if in a race to reach the finishing line. Before that, the rest of the soundscape veers between ethereal to discordant, dark and dramatic to eerie and otherworldly as Sometimes, effects are unleashed and transform the soundscape. Later, a bass synths replicates the sound of small plane as it soars high above the soundscape. It’s powered along by a mesmeric Motorik beat, and is joined by jagged synths and later, a scorching guitar. 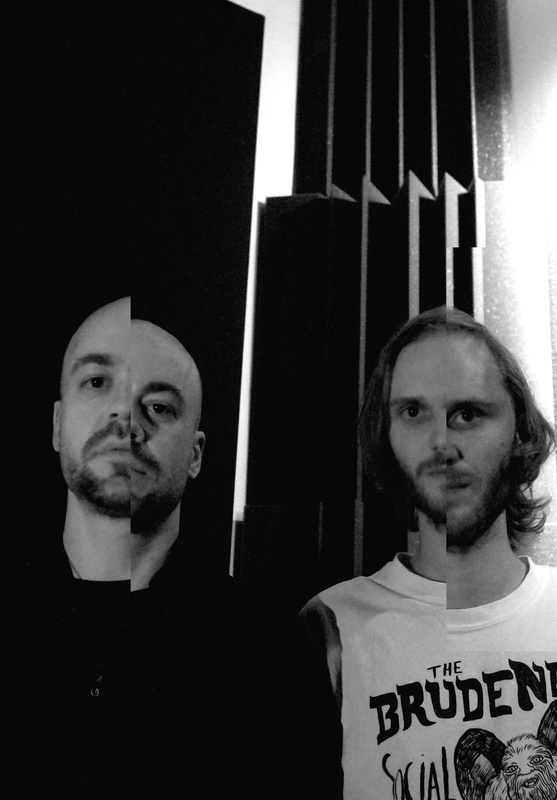 It cuts through the arrangement and combines with futuristic synths as Brockmann//Bargmann make good use of their sonic palette and create another evocative cinematic soundscape. Straight away, Spektrum has a ruminative sound as guitars chirp and cheep as the soundscape meanders along. The guitars are layered and effects have been added as this ambient soundscape continues to reveal its secrets and beauty. This it continues to do right up until the closing notes. Very different is Muezzin, which has a much busier and urgent genre-melting sound. The drums provide a thunderous 4/4 beat, while layers of synths as a distant vocal barks out instructions. They’re joined stringed instruments. Then 2.12 the drums drop out, and the bass and stringed instruments, enjoy their moment in the sun. Still there’s an element of drama and urgency. Especially when Brockmann//Bargmann briefly drop the drums back in and toy with this listener. They tease and tantalise the listener and show another side to their music. Schatten features Achim Färber of Automat and Project Pitchfork, who adds imposing, soaring, tribal drum patters. They also add a degree of drama as they combine with the sub bass and washes of guitar. This proves to be a potent combination, and adds to the degree of drama and tension as this ten minute epic cinematic soundscape unfolds and reveals its sonic secrets. A crystalline guitar shimmers and glistens on Meer, as a piano plays slowly and deliberately. Meanwhile, reverb is added to the guitar as the piano combines drama and darkness as Brockmann//Bargmann carve out a poignant, powerful and ethereal soundscape. Dramatic and cinematic describes Puls, which is without doubt, one of the most evocative tracks on Licht. It paints pictures as it unfolds. For the first 2.20 it’s as if Brockmann//Bargmann are replicating the sound of a battle in a distant land. Explosions can be heard as synths add a degree of tension. Then as a bass synth enters, a calmness starts to descend. Soon, it’s as if a plane climbs high into the night sky and beats a hasty retreat as swathes of synths provide a backdrop. They play their part in the sound and success of one of the most cinematic soundscapes on Licht. Hyper which closes Licht lasts over twenty minutes. For the first 2.44 the music is light, airy, ethereal and hopeful as it meanders melodically along. There’s even a hint of drama as Brockmann//Bargmann experiment with a variety of effects and sounds assail the listener as panning is used effectively. Then at 2.45 there’s silence, and this lasts until 17.36. After nearly fifteen minutes of silence Brockmann//Bargmann return. By then swells of dramatic music are unleashed and assail the listener. It’s an impressive and breathtaking sound as it reaches a crescendo. Meanwhile, the listener is meant to wonder what they’ve missed in the intervening fifteen minutes? The answer to that is nothing, with fifteen minutes of silence Brockmann//Bargmann’s homage to John Cage’s 4′33. That fifteen minutes of silence can be played by musicians of all ages, regardless of their experience and talent. However, the rest of this captivating soundscape takes years of experience to replicate. Licht is Brockmann//Bargmann’s debut album, which will be released by Bureau B on the ‘20th’ of October 2017. It finds the two friends and pioneering musicians create a carefully crafted album of genre-meting soundscapes. Brockmann//Bargmann flit between and combine elements of ambient, avant-garde, Berlin School, classical, electronica, experimental, Krautrock, post rock, psychedelia and rock. Seamlessly, disparate musical genres melt into one, on an Licht, which is a captivating musical journey. The twelve tracks on Licht veer between broody and moody to dark and dramatic, to elegiac and ethereal, to eerie and otherworldly. Other times, the music is atmospheric and evocative, before becoming emotive and uplifting. Sometimes, the music is dance-floor friendly, melodic and memorable as Brockmann//Bargmann show another side to their music. Then other times, the music on Licht becomes ruminative, thoughtful and thought-provoking. Especially on some of the more dramatic and cinematic tracks, including Prisma, Sylvester, Schatten and Puls. They paint pictures and set the listeners imagination racing. These tracks sound as if they belong on soundtracks. Maybe that is what the future holds for Brockmann//Bargmann? Licht is the debut album from Brockmann//Bargmann, and marks the start of a new chapter for the duo. They’ve previously recorded together as Camera. Their influence can be heard on Licht. So can the influence of Brockmann//Bargmann’s contemporaries Ulrich Schnauss and Rival Consoles. Other influences include Kluster, Cluster, Qluster, Harmonia, Neu! and Kraftwerk. However, for much of Licht, Brockmann//Bargmann set about forging their own unique and inimitable sound on Licht’s twelve genre-melting soundscapes. Musical mavericks Brockmann//Bargmann took sixteen months to write, record, mix and master Licht. 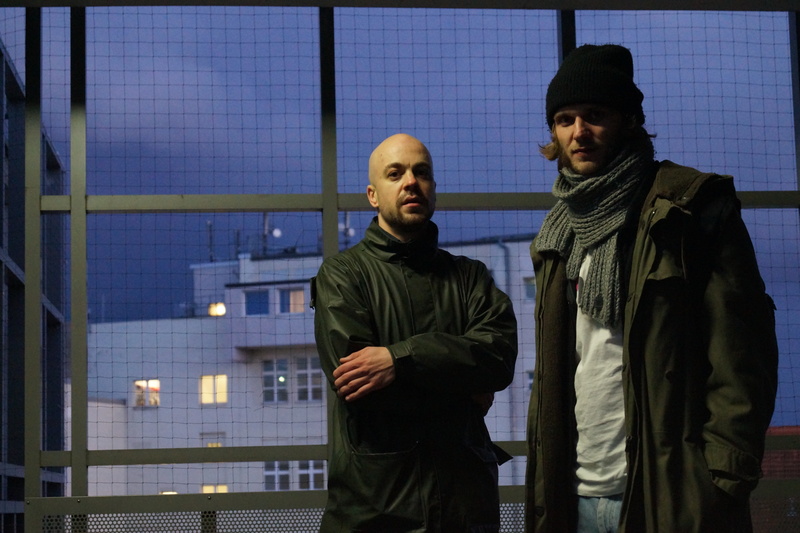 It marks a new beginning for two Berlin based musicians. Now six months after they completed Licht in April 2017, Brockmann//Bargmann will release Licht, which is their first album of carefully crafted soundscapes. 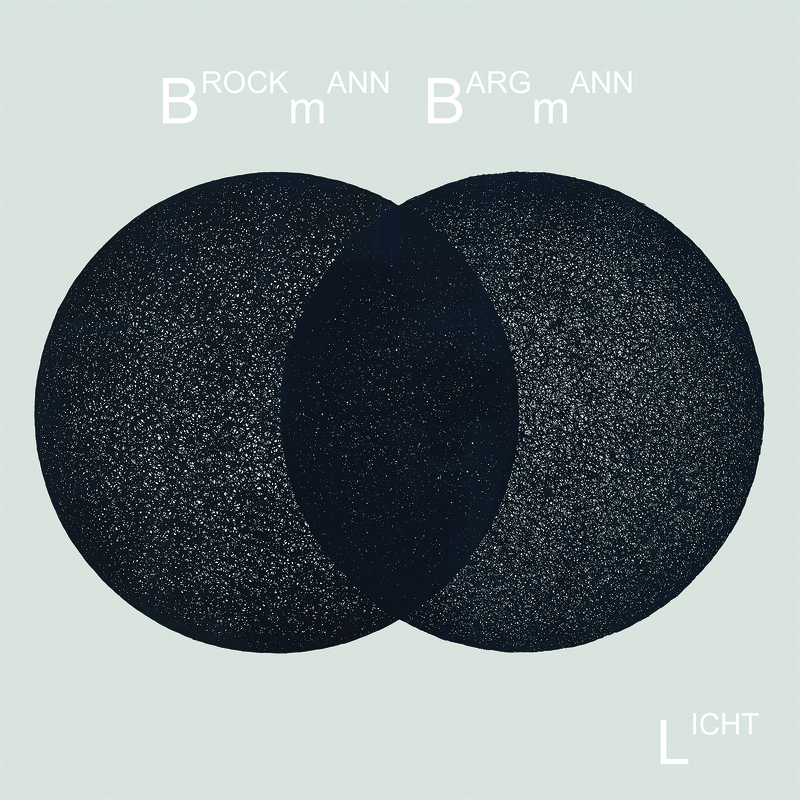 They feature sonic pioneers Brockmann//Bargmann pushing musical boundaries on Licht, which is ambitious album of inventive, innovative and imaginative soundscapes. The soundscapes are also evocative and cinematic, as Brockmann//Bargmann showcase their versatility and considerable talents on their much-anticipated debut album Licht. ← THOS. RAPP AND PEARLS BEFORE SWINE-ONE OF FOLK MUSIC’S BEST KEPT SECRETS.